Help give our teachers the tools they need to educate our children. 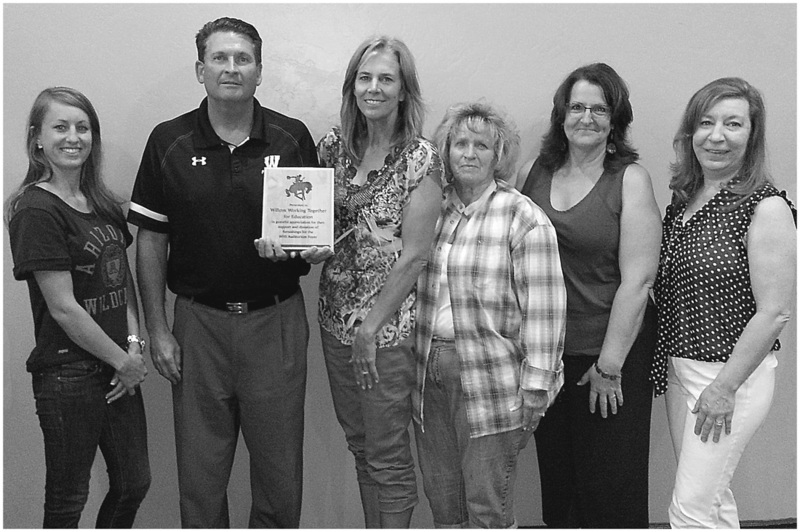 Willcox Working Together for Education (WWTE) supports education for the city's youth and helps provide our children's teachers with much needed school supplies to keep their classrooms going. ﻿Principal Thompson presents the WWTE board with a plaque thanking them for the new furniture at the High School student lounge. ©2015 Willcox Working Together for Education. All Rights Reserved.